My Testimonial - How Syringa products have helped my Hot Flashes! by Laura | Syringa Inc. If you are using Resolve but still waking up at night with hot flashes, try keeping a bottle of Balance by your bed. When you wake up, apply it to both wrists and the hot flashes will calm down almost immediately. You can also keep a Balance in your purse or desk at work for quick, discreet applications during the day if you start to feel a flush coming on. I had a hysterectomy in Oct of 2015 and my doctor told me she wasn’t putting me on any kind of HRT unless I experienced problems. Back in Feb/Mar 2017 I suddenly started getting hot flashes. I wouldn’t get them during the day, but they would start up in the evening and just keep getting worse. I would run outside in a t-shirt and shorts just to try to cool off and would wake up 2-4 times a night soaking wet. I was miserable. I started doubling up on my Resolve applications and got a Balance to put by my bed so I could apply it at night. I noticed when I applied the Balance the hot flashes would start calming down right away and I could go back to sleep. Over the next few weeks they started occurring less frequently and less intensely. In about a month they were completely gone. It’s now August and they have not returned. I primarily use the Resolve because I love what the cream does for my skin, but I still have that Balance by my bed and one in my desk at work just in case. If you are suffering from hot flashes, increase the amount of Resolve you’re using immediately and get a Balance roll on for a quick, easy boost when you need it! I also recommend using our Organic Coconut Oil supplement. It is rich in good fats your body needs to make Pregnenolone. Pregnenolone is a precursor to your estrogen and progesterone. Imbalances in these two hormones are the main cause of hot flashes and other associated symptoms with perimenopause, menopause, and PMS. Thank you for reading, I am always here, at Syringa, to answer any and all of your questions! Syringa Resolve and Balance have been delicately formulated to aid in hormonal balance, naturally. They contain high quality Mexican Wild Yam extract and other plant nutrients. 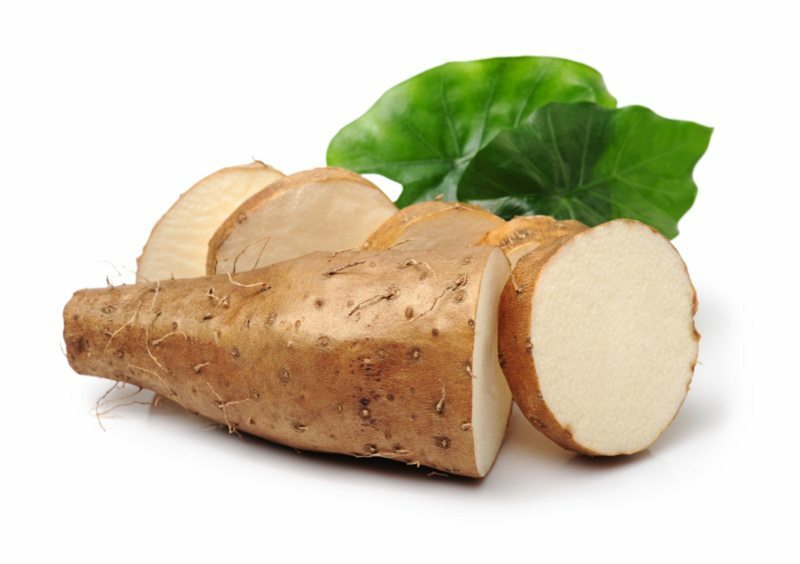 Mexican Wild Yam, is commonly known as the plant with the highest content of phyto-progesterone. Since progesterone protects against the undesirable side effects of unopposed estrogen, whether occurring endogenously before menopause, or as a consequence of estrogen supplements. 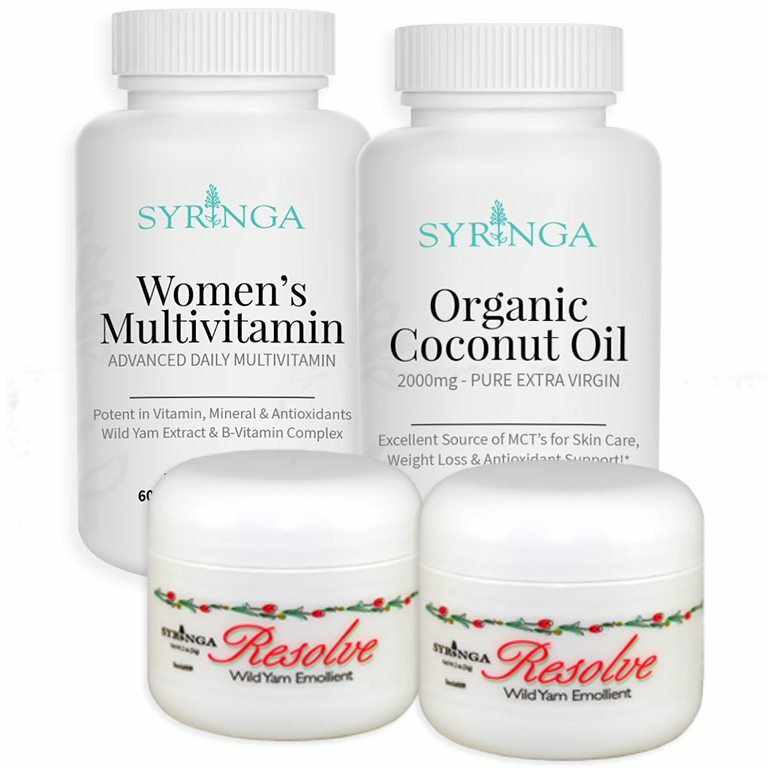 Syringa Resolve and Balance Wild Yam Cream has been created to combat the troublesome effects of estrogen by restoring progesterone naturally and subsequently restoring hormonal balance. A fantastic group of products, combined to help you from the inside and out! Discounted introductory rate no applies.